In case you’re wanting to get out there and try these for yourself, here’s a guide all of the places you can find these iridescent treats! First up is the CUTEST Iridescent Cupcake at Disneyland Resort. This confetti and passion fruit cupcake is filled with passion fruit and mango and finished with a tri-colored white chocolate Champagne mousse. You can find it at Jolly Holiday Bakery Café at Disneyland Park, Clarabelle’s Hand Scooped Ice Cream and Fiddler, Fifer and Practical Café at Disney California Adventure Park, and The Coffee House at the Disneyland Hotel! 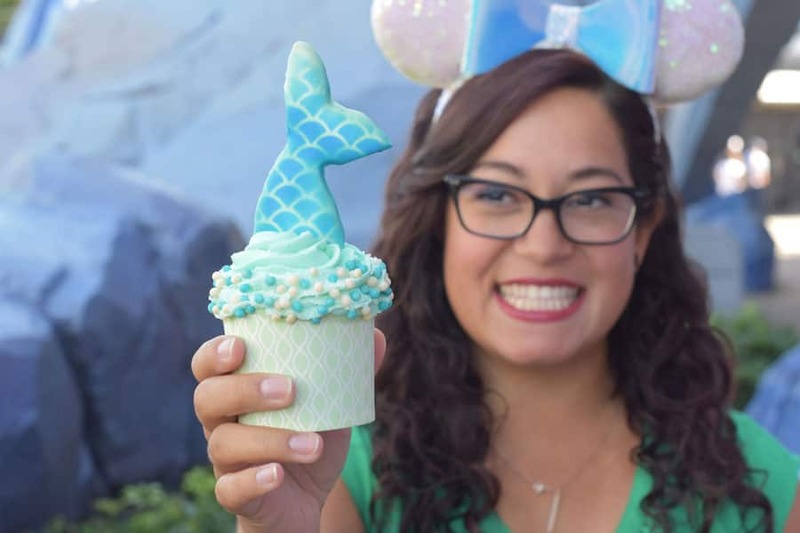 At Walt Disney World Resort, you’ll be head over fins for this Mermaid Cupcake that’s surfaced at the Main Street Bakery at Magic Kingdom Park. It’s a vanilla cupcake full of sprinkles of color and topped with sea foam green buttercream, chocolate crispy pearls, sprinkles, and an iridescent mermaid tail cookie – YUM! 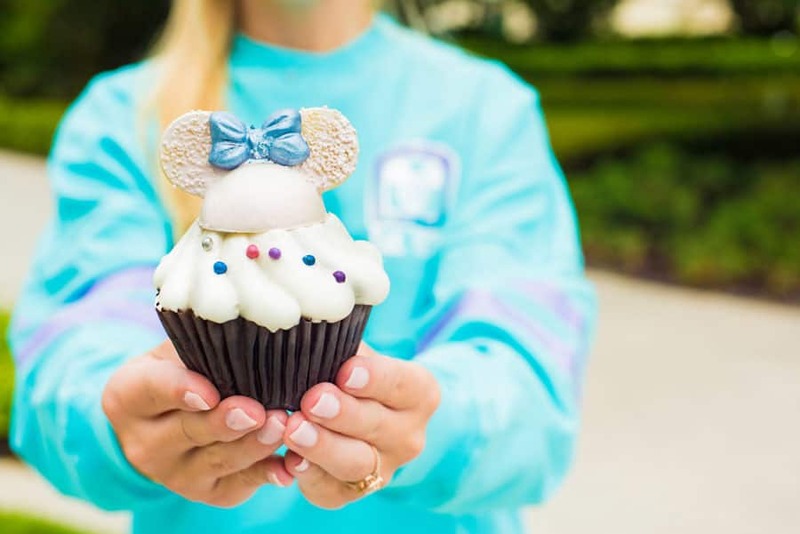 Just a monorail-ride away at Disney’s Contemporary Resort, head on over to Contempo Café to try another Iridescent Cupcake – a confetti cupcake with strawberry filling and vanilla buttercream icing and topped with crispy pearls and a chocolate Minnie Mouse hat. Let’s get straight to the point with the Iridescent Rhino Cupcake with caramel filling. 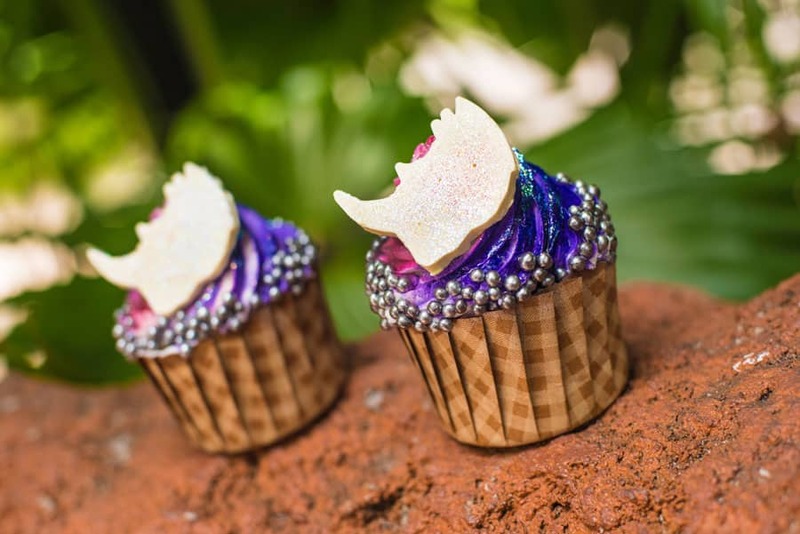 Trek on over to The Mara at Disney’s Animal Kingdom Lodge to spot this exotic chocolate cupcake for yourself! At Disney’s Yacht and Beach Club Resorts, there’s a sweet treat at the end of the rainbow – it’s a Rainbow Cookies ‘n Cream Blondie! This chewy blondie has chunks of chocolate cookies and rainbow sprinkles inside, is coated with white chocolate, and topped with a fondant and chocolate ears. You’ll find it at Beach Club Marketplace and The Market at Ale & Compass. Across the lake at Disney’s BoardWalk, why not stop in at the BoardWalk Bakery? 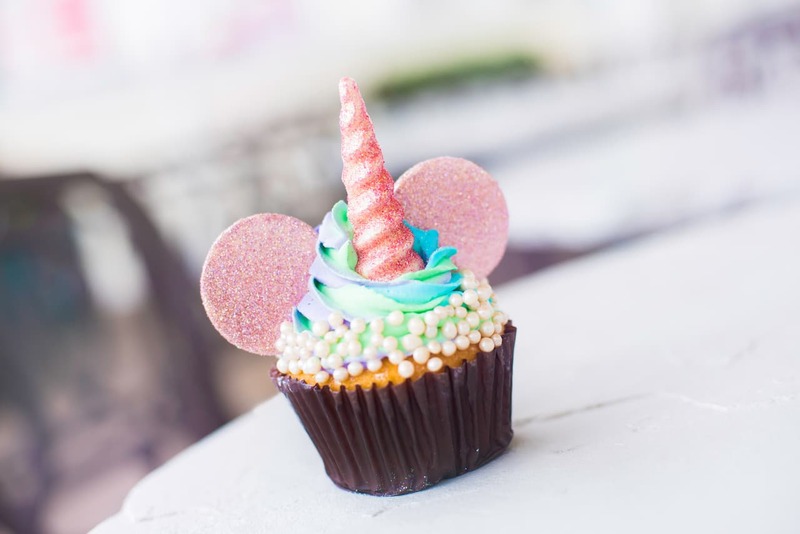 If you love mouse ears AND unicorns, then you’ll be OBSESSED with this cupcake! This one is the Iridescent Unicorn Ears Cupcake with wildberry lemonade mousse filling, multicolored frosting, a white chocolate iridescent unicorn horn, white chocolate ears, and crispy pearls. At Epcot, try a Crisped Rice Treat with an iridescent headband – this one can be found at Fountain View right by Spaceship Earth. 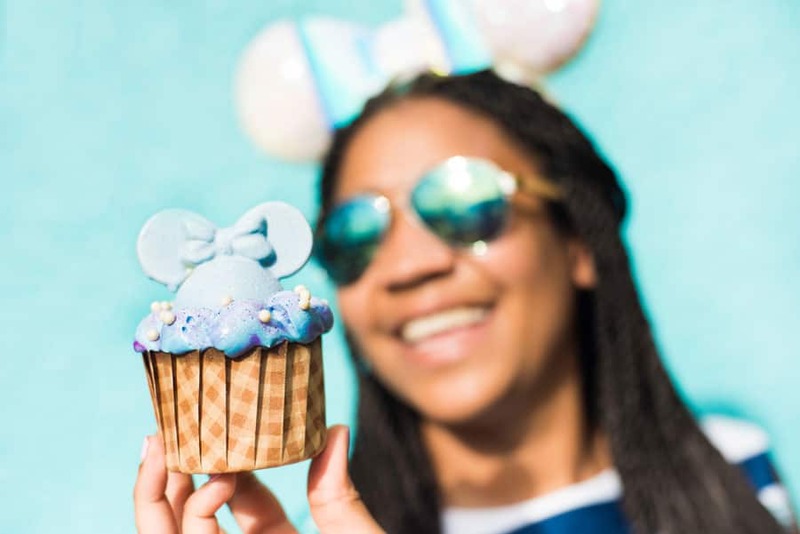 All three of Disney’s All Star Resorts will be offering an Iridescent Cupcake made with cotton candy marshmallow filling and raspberry buttercream. 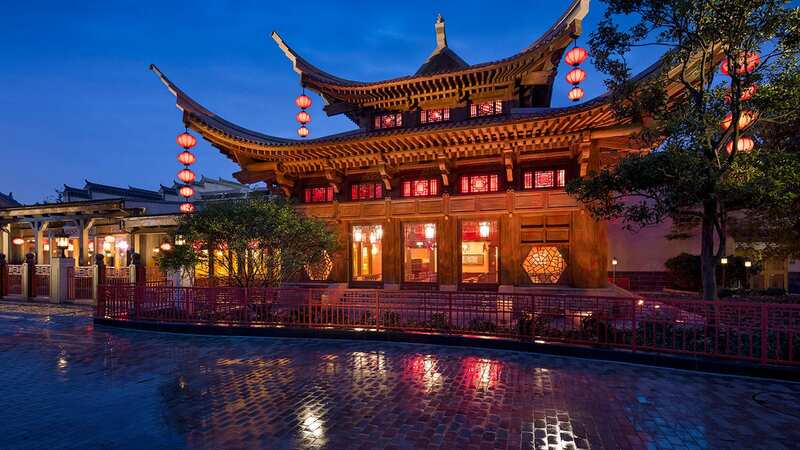 You’ll find it at End Zone Food Court, World Premiere Food Court, and Intermission Food Court as well as The Artist’s Palette at Disney’s Saratoga Springs Resort & Spa. 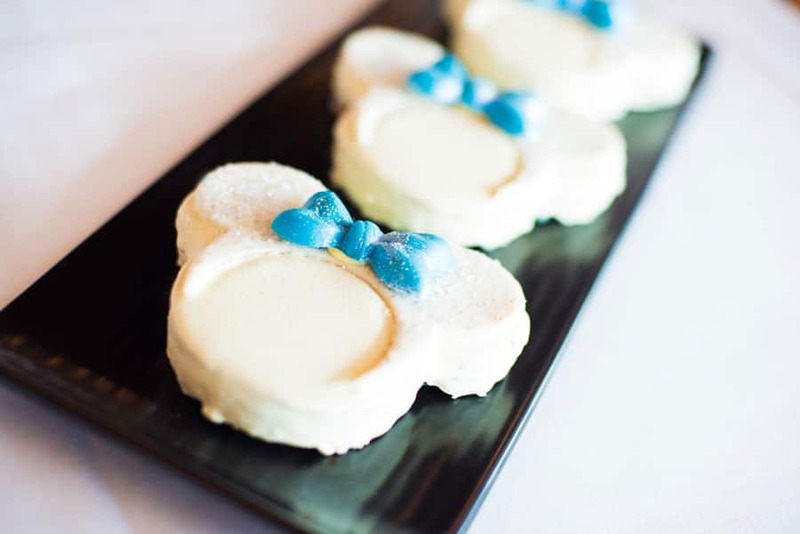 Starting July 13, Amorette’s Patisserie at Disney Springs is bringing the cuteness with two iridescent offerings. 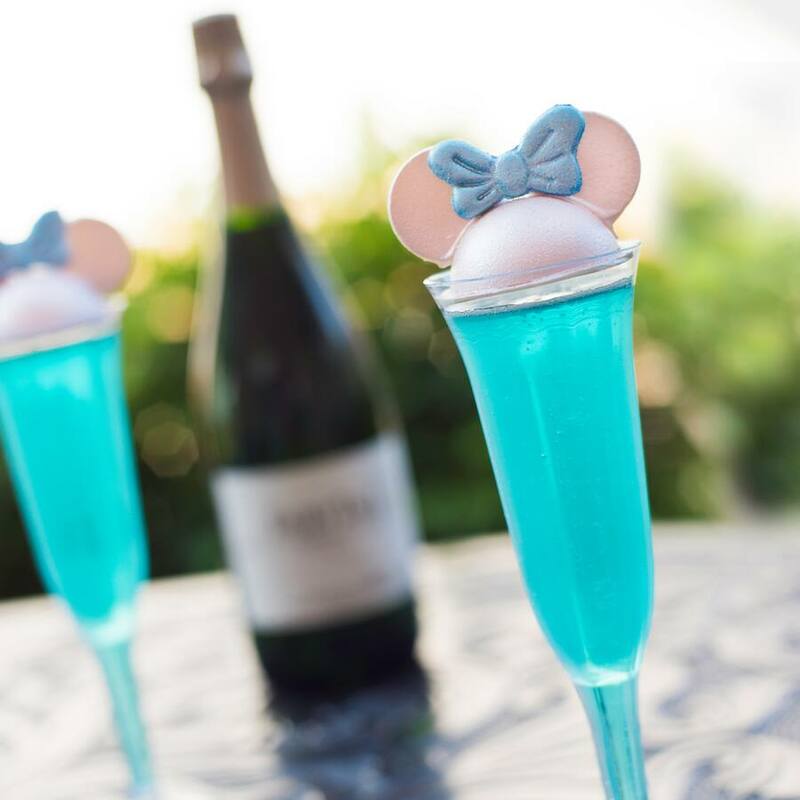 The first is an Iridescent Sparkling Wine with an iridescent white chocolate Minnie Mouse topper. 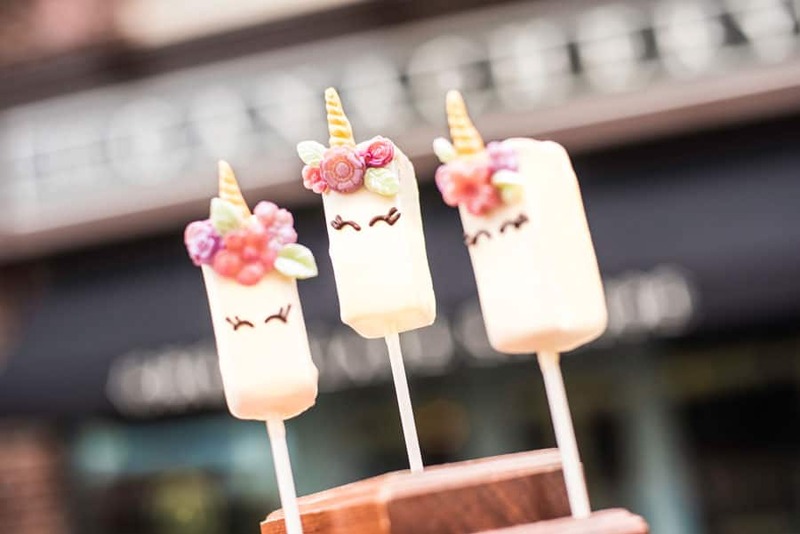 The second is a Unicorn Macaron Lollipop filled with toasted white chocolate rainbow ganache! HOW ADORABLE? 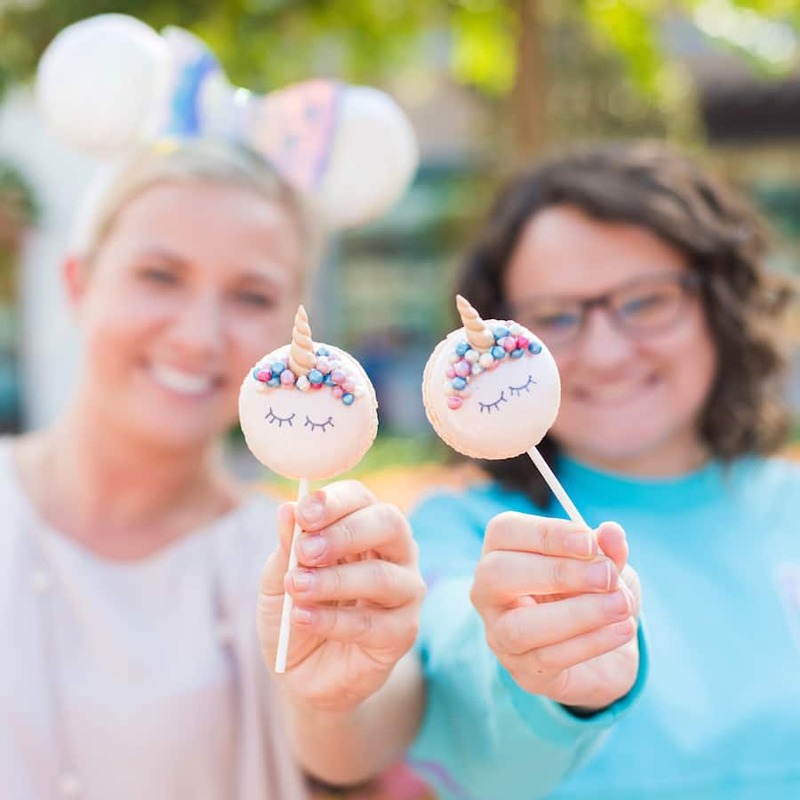 And finally, for the chocolate lovers, stop on by The Ganachery at Disney Springs for a Unicorn Ganache Pop. This strawberry lemon ganache lollipop is covered in iridescent pink chocolate and decorated like a whimsical unicorn! 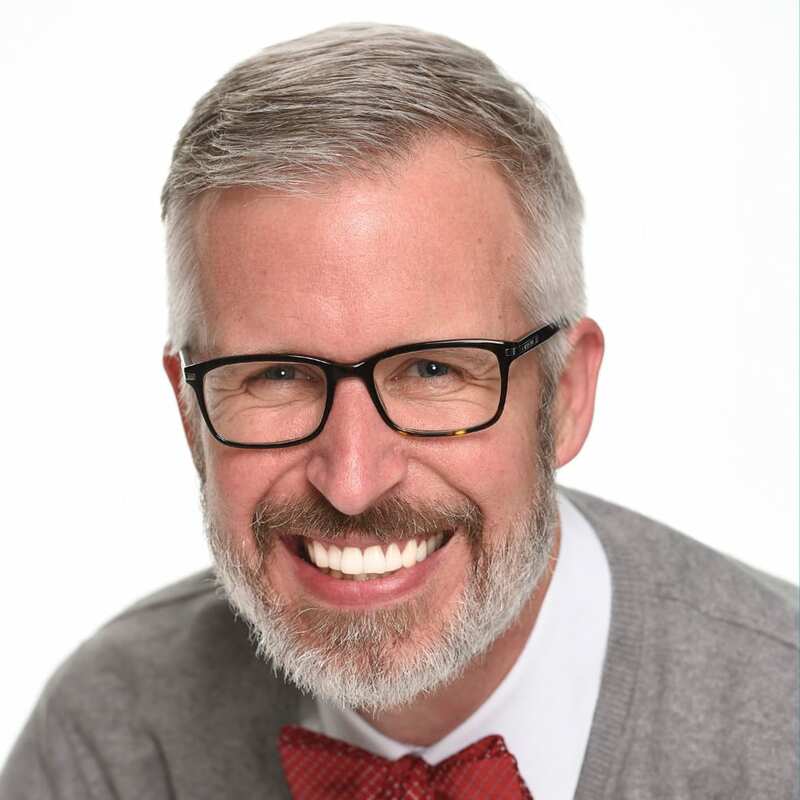 So now that you have this shiny new guide, it’s time to get on out there and live your best iridescent life! 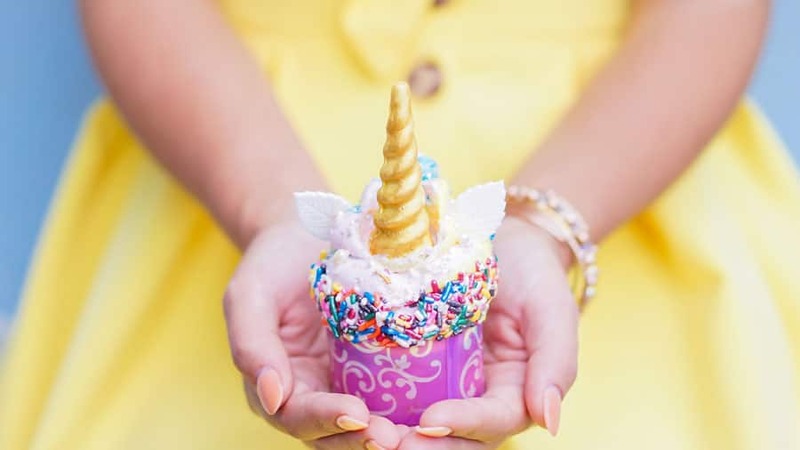 From rainbows and unicorns to mermaids and confetti, there’s a ton of tasty fun to be had at Disney Parks. 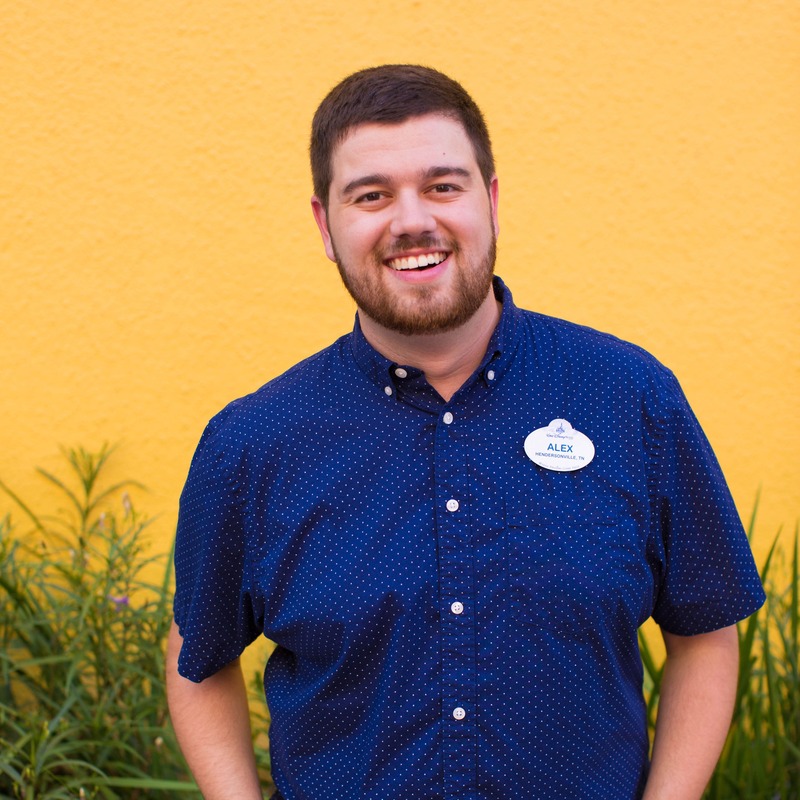 And if you’re looking for those Iridescent Headbands or an Iridescent Spirit Jersey to create the cutest photo op, you’ll find them at various merchandise locations throughout Disneyland and Walt Disney World Resorts! @heather, WDW is MASSIVE so of course the ratio of things WDW:DL will be slightly heavier on one side. These treats look AMAZING! 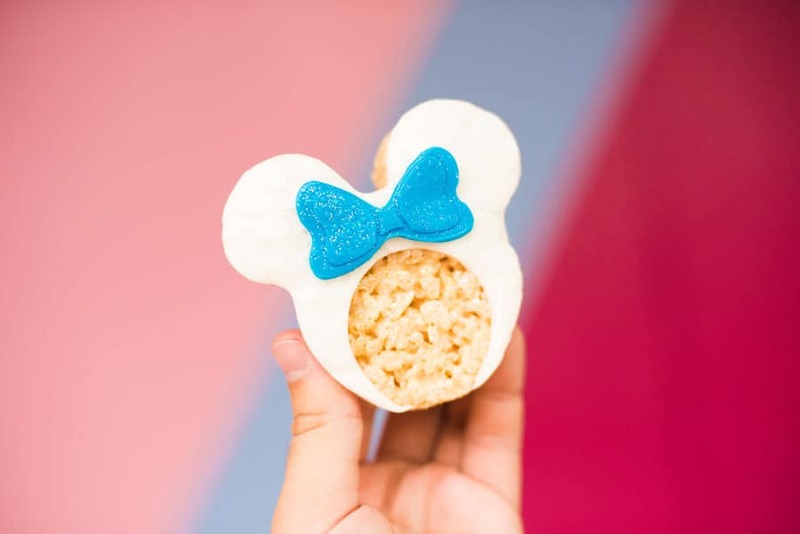 The rice crispie treat with headbands cracked me up, i’d love to meet the team who come up with these amazing treats and the process around new treats across all parks changing all the time! So basically Disneyland gets 1, and Disney World gets at least 7? Not even proportional! We should at least get the mermaid one, too! oh noooo, I just got my Millenial Pink headband in the mail today, thinking I was finally all caught up with my headband obsession!!! Looks like I’ll have a different headband for each and every day at the Parks! and will have to try out each and everyone of those incredible treats as well! Can’t wait to try the cupcake at DLR. I saw it online yesterday and it looks amazing!! WoW! The chef out did themselves with these incredible creative and mouthwatering, very irresistible treats! I’m already planning my next visit to WDW these desserts! I think I’ll call it my Iridescent Adventure!